There is a strong tradition of craftsmanship on Mallorca, and many visitors enjoy taking some traditional crafts home with them. Solid wood furniture, hand-embroidered works, brightly coloured hand-painted ceramics, carved olive-wood, wrought ironwork, blown glassware, items made from raffia and palm leaves, handmade shoes and pearls are all of high quality. Indeed, Mallorca is particularly well-known for its leather products, and shoes, belts, handbags and wallets can be bought in specialist shops throughout Palma or at the leather market in Inca on Thursday mornings (which also sells many other handicrafts and goods) – the market is the largest on the island. Mallorcans love to shop and Palma’s old city streets are bursting with boutiques, high street shops, big name brands and designer goods. The main streets are Jaime III (where you will find designer boutiques) and Carrer del Sindicat, Carrer de Sant Miguel and other streets radiating off Plaza Mayor. The main Avinguda d’Alexandre Rosselló street that has many high street shops as well as a large branch of El Corte Inglés, an upmarket department store. The markets are always a draw for visitors to the island, and most of the larger villages or towns have one. Apart from Inca, Santa Maria has a big Sunday market as does Sineu on Wednesdays. While some of the traditional items have been lost from these markets, and there are more commercial imported clothes sold than before, they are a great place to buy artisan cheeses, meats and fruit and vegetables, as well as pottery and artisan products. Traditional shopping hours are Monday to Saturday 0900-1400 and 1700-2000. Supermarkets and department stores are open 1000-2200. Big shopping centres and tourist shops also open on Sundays, as are the big shops along Jaime III in Palma. Mallorca is famous for its nightlife, which ranges from sophisticated in Palma to notorious in Magaluf. All the main resorts have a good selection of clubs and bars. Hundreds of small, trendy, unusual bars are scattered throughout the old city of Palma, and come the weekend most are in full swing. For something more refined, Puerto Portals on the south coast offers a swanky selection of bars and restaurants which cater to the yachting elite. 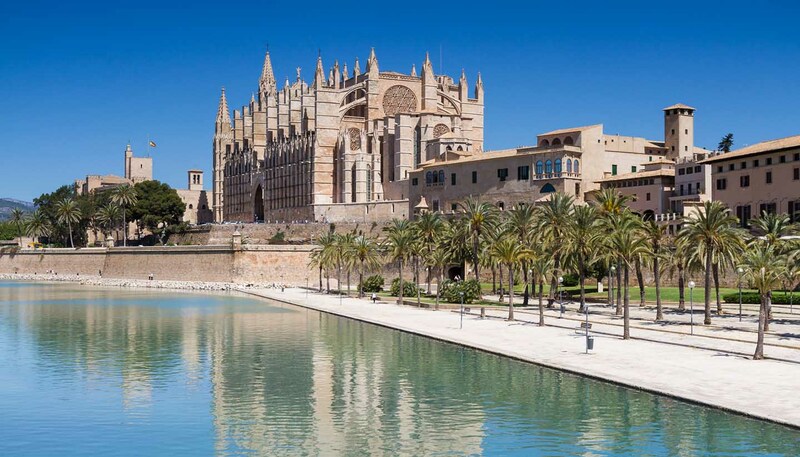 In Palma, locals tend to start the evening late and finish in the early hours of the morning. After a late meal on a Friday or Saturday night, young Mallorcans will head to the bars around midnight, and on to clubs no earlier than 0200. For the latest news on the local nightlife, and details of current events in Mallorca, see the local English-language newspaper, the Majorca Daily Bulletin (http://majorcadailybulletin.com).